Marijuana industry officials reacted with alarm Friday to President-elect Donald Trump’s choice of Republican Sen. Jeff Sessions as attorney general, citing the Alabama lawmaker’s hostile attitude toward cannabis and MJ legalization. Industry leaders attending this week’s Marijuana Business Conference & Expo in Las Vegas voiced concern that Sessions would lead a new crackdown on marijuana business in states that have legalized both recreational and medical marijuana. Industry officials also suggested Sessions would present a roadblock to additional marijuana reforms in such areas as banking, where cannabis companies struggle to find a financial institution to serve them given the plant’s federal status as an illegal narcotic. Last week’s national elections saw eight states approve new markets for legal recreational and medical cannabis, and Trump’s nomination of Sessions raises questions about the legalization efforts of more states down the road. Twenty-nine states and Washington DC have legalized medical marijuana, while eight states and the District of Columbia have approved adult use. He thought the Ku Klux Klan was fine “until I found out they smoked pot.” Sessions dismissed the comment as a joke, The New York Times reported. 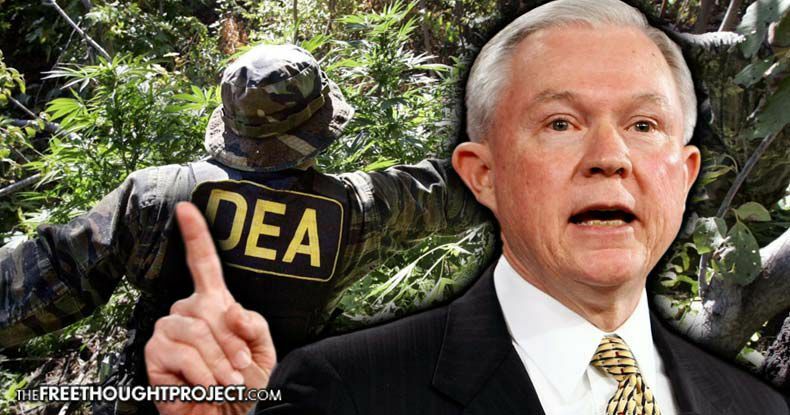 “Jeff Sessions is a drug war dinosaur, which is the last thing the nation needs now,” Ethan Nadelmann, the executive director of the Drug Policy Alliance, warned in a news release. But she was not despondent, predicting other issues such as immigration are more important to Sessions and Trump and would occupy too much of their time, meaning the Trump administration could simply decide to leave the cannabis industry alone. A key upcoming vote in Congress could play a pivotal role in the cannabis industry’s near-term future: the Rohrabacher-Farr Amendment to a federal spending bill, which must be approved again by lawmakers for MJ businesses to remain protected from any crackdown by the U.S. Department of Justice. The bill’s namesake, California Republican Congressman Dana Rohrabacher, did not see the negative in Sessions’ nomination. Mitch Anderson, managing partner of Global Recruiters of Chicago West, a Chicago-based ancillary firm that works on staffing within the cannabis industry, predicted “there will be some reluctance to move forward” with cannabis reform at the federal level.